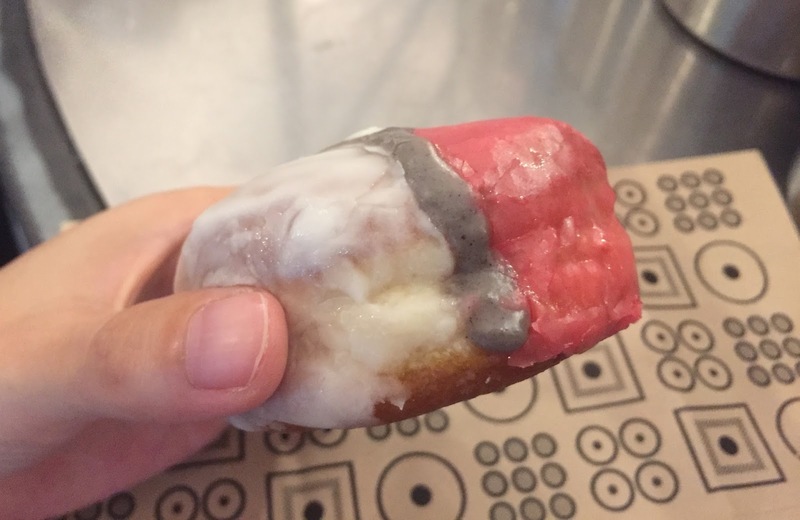 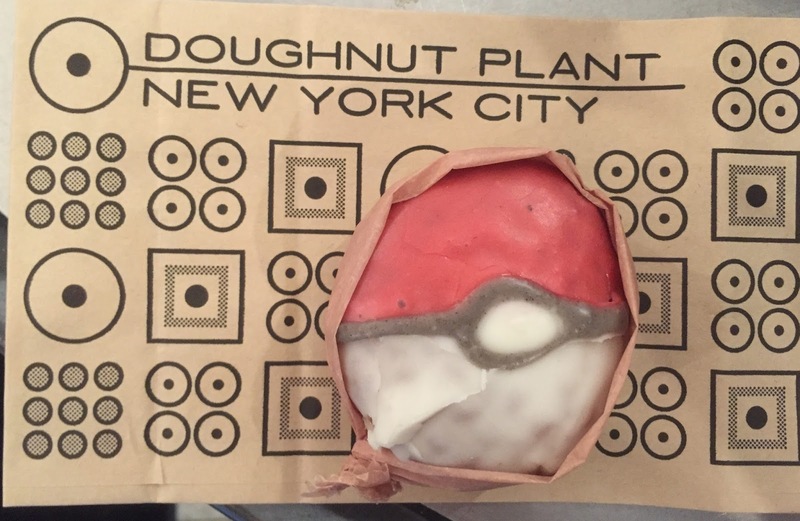 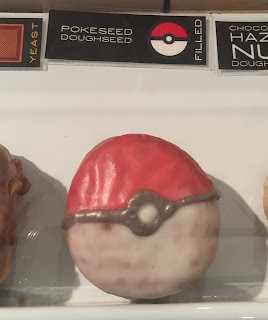 I happened to find that Doughnut Plant now has "Pokéseed Doughseed," a Pokémon inspired mini doughnut with filling. 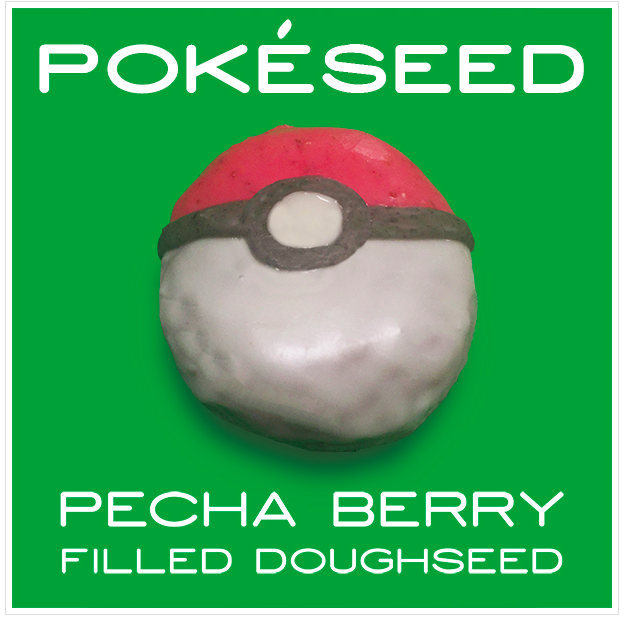 I've never played or watched Pokémon so that I have no idea what Pecha Berry (Momon Fruit, モモンのみ in Japanese) was, and apparently, it's a fruit that heals injured Pokémon. 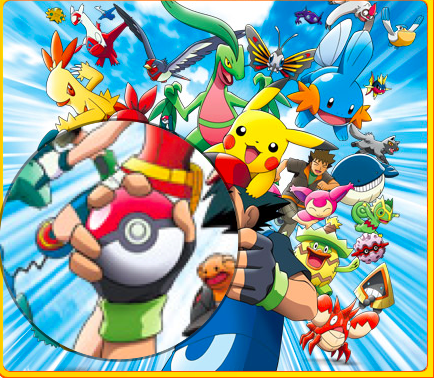 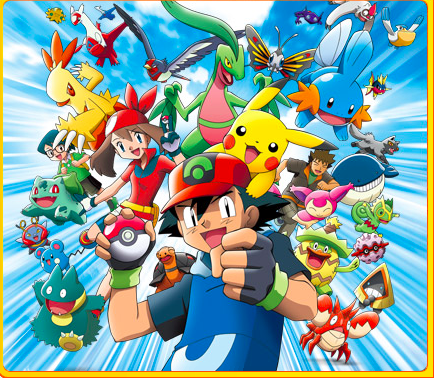 And this red and white ball is called Poké Ball (called Monster Ball in Japanese) and it's to throw and catch Pokémon. It's available for a limited quantity every day since mid July, 2016, and Pecha Berry filling is a mixture of fresh peach and strawberry, and the top has raspberry and white chocolate glaze. 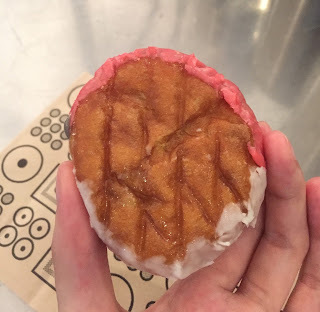 When I got one of the branches after 2 PM, there're only 2 left and I got one. 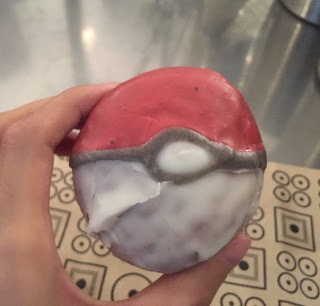 The wrap was put around the donut and I could see the Poké Ball pattern. 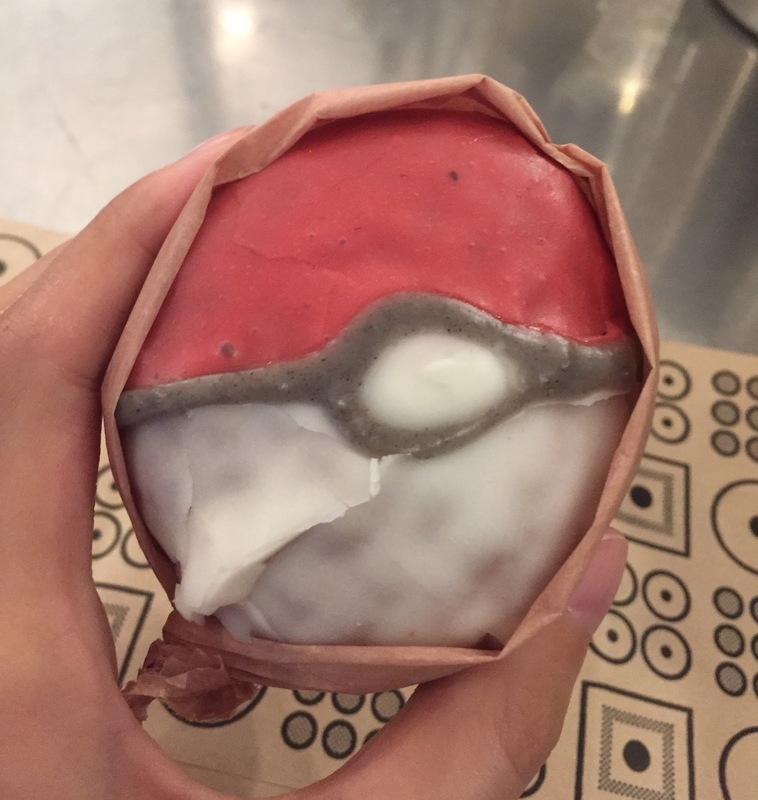 The size seemed like the size of the actual Poké Ball seen in anime. They put glaze and decoration to the side, too. The yeast doughnut was soft and chewy, and the glaze was flaky and sweet. The filing had sweet-sour fruitiness, and it's quite velvety and runny so that I had to be careful not to drop it. 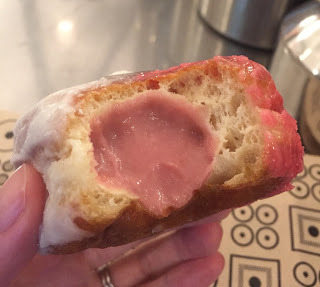 The filling was rich and I had hard time looking for raspberry and white chocolate flavor from the glaze. 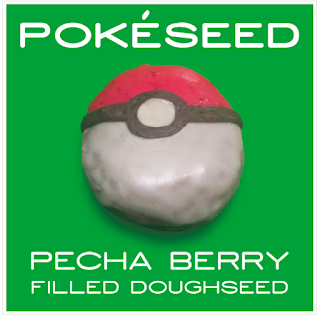 However, it's a really cute and tasty Pokéseed Doughseed. 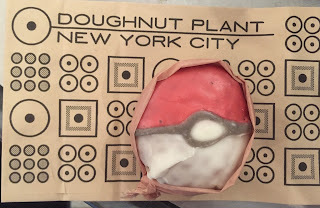 Another review of Doughnut Plant.